When I learned of the Christie’s Audrey Hepburn auction coming in the fall–featuring pieces from Hepburn’s own personal collection including a Burberry trench, a Givenchy dress, and a bevy of ballet flats–I couldn’t help but wonder how her granddaughter, Emma Ferrer, could bare to part with her grandmother’s sartorial confections. What could be as splendid and divine than being able to boast that you share DNA–and a wardrobe arsenal–with style icon and humanitarian, Audrey Hepburn? However, I’m quite sure Ferrer did keep a few coveted pieces. I’d love to know what made the cut. After all, Ferrer has proven not to be like other young socialites–even if there is quite a legacy for her to live up to. 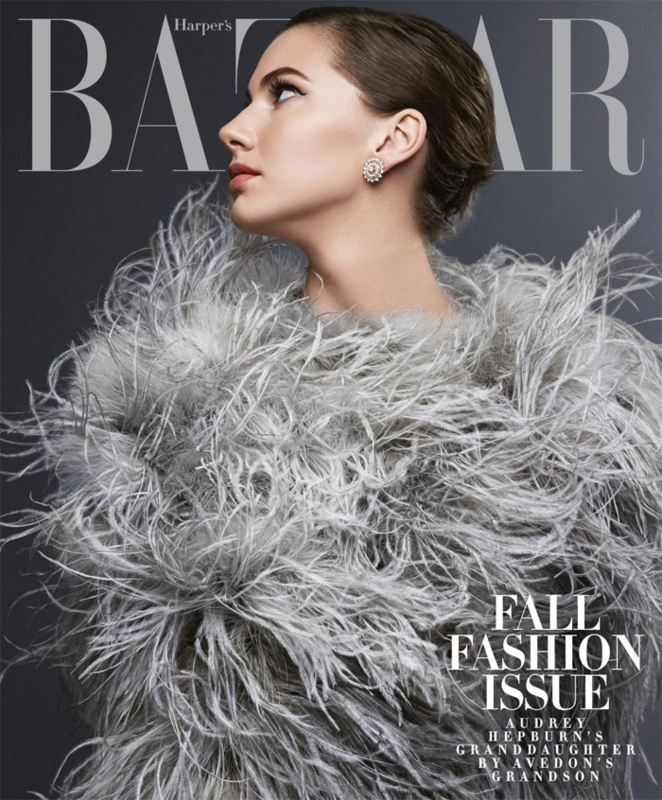 When most offspring of the famous are coming out to the world at swanky soirees, Ferrer’s first excursion into the limelight came via the beautiful September 2014 cover of Harper’s Bazaar. The inside spread was equally striking, capturing Ferrer in shots reminiscence of Hepburn in her heyday. The shoot was extra spectacular because Michael Alvedon–the grandson of Richard Avedon–was the photographer. Ferrer may not be taking the theatrical route of Hepburn, but she does show a penchant for the arts–a dancer, model, and artist, who studied at the Florence Academy of Art in Italy. She has also continued Hepburn’s work with UNICEF–she helped the charity organization pack 25,000 winter survival kits for the children of Sudan and Northern Iraq. Ferrer may soon be adding author to her list of accomplishments–it’s rumored that she and her father Sean Ferrer are releasing an Audrey Hepburn style book in 2018. We definitely need to keep this up and coming, Swiss-born 20-something on our radar–we’re sure to see a lot more from her. Photographed by Michael Avedon for cover of Harper’s Bazaar magazine. Photographed by Michael Avedon for Harper’s Bazaar magazine.